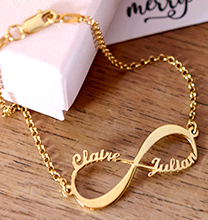 If you’ve been in search of the ideal engraved necklace for her, this may just be “the one!” Our Heart Necklace in Gold Plated offers lots of beautiful touches she’ll love, especially since this gorgeous piece comes straight from your heart to hers. 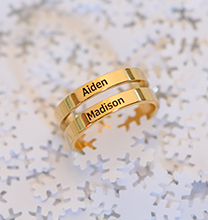 The look begins with the soft, luxurious glow of 18ct gold plating, which looks absolutely stunning while offering lots of classic, romantic appeal. 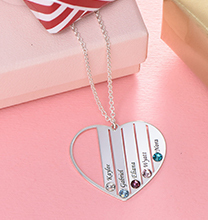 Choose any loving sentiment for the front of the pendant, or consider adding your initials, a special date such as the day you met or another anniversary, or a word that holds a secret or unique meaning to both of you. 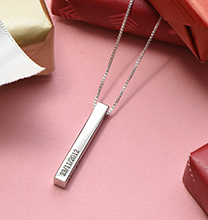 If you’d like to add a second inscription to the back of the pendant, you may do that as well – and again, this can be anything, so long as it’s special! 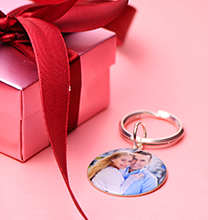 Once you’ve decided how to personalise the pendant, our artisans will put their talent to work on your behalf, creating a unique piece of jewellery that is truly one of a kind, and that will be cherished for years to come. This exquisite necklace is made with 18ct Gold Plated Sterling Silver (0.925). The heart-shaped pendant hangs from a matching Gold Plated Rolo Chain. 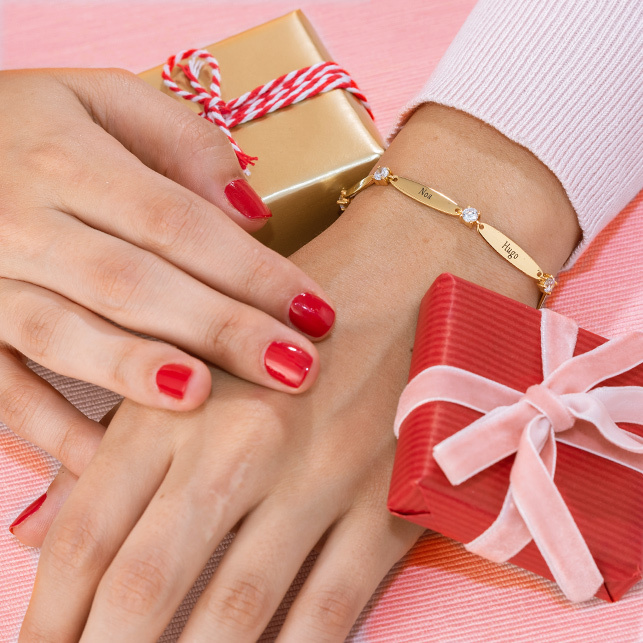 This sweet, romantic style is also available in your choice of Sterling Silver or 18ct Rose Gold Plated. Whether you’re looking for the perfect Valentine’s Day Gift, a present for Mother’s Day, or a “just because” treat that lasts far longer than flowers, you’ll find even more heart shaped necklaces in our collection: There truly is lots to love!